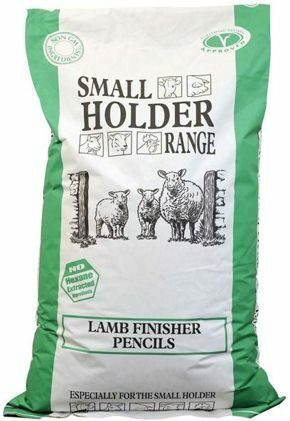 Smallholder Range Lamb Finisher Pencils are an ideal feed for finishing late season lambs. • Smallholder Range only source identity preserved (Hard IP) Non-GM ingredients. • Smallholder Range feeds are made from natural ingredients which can result in the feed changing colour slightly through the seasons. Start feeding lambs with Lamb Starter/Grower Pellets from about seven days old and follow on with Lamb Finisher after Weaning (usually at about three to four months). Lamb Finisher can be fed at up to 1.0kg per head per day in late season.